After a lengthy wait Copy Haho have finally announced the details of their debut album. Yeah, you like that - don't you? After all, their mini-album/EP Bred For Skills & Magic was a slice of perfection so with this much time to hone their skills we can all expect something really special from the popsters. In fact that was the artwork. 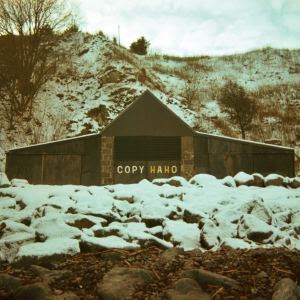 And as you've seen by the fact that Copy Haho are Track of the Week, they've a song available that you can hear. It's called 'Dying Breed' and showcases a more measured sound that recalls Pavement or the more recent material from Los Campesinos! without sacrificing their trademark momentum. The slacker chorus sounds excellent in this period of unseasonable warmth and if the weather's similar come 20th June when the record lands then we could just have The Record of the Summer on our hands. Pris Interview: "THE WORLD NEEDS PRIS RIGHT NOW"
It's all happening at Alcopop!